The best part of going to a sock hop? Wearing a poodle skirt! Obviously. 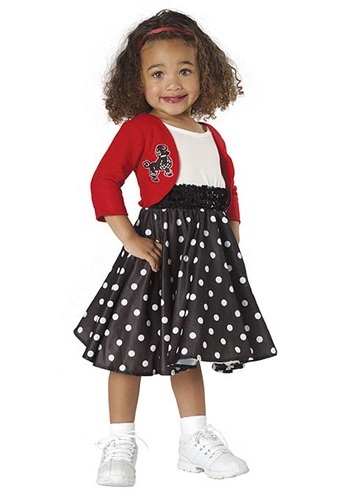 Your little one will love dancing around in this Toddler Girls 50's Costume too. The classic music, polka dots, and full skirts. What's not to love?